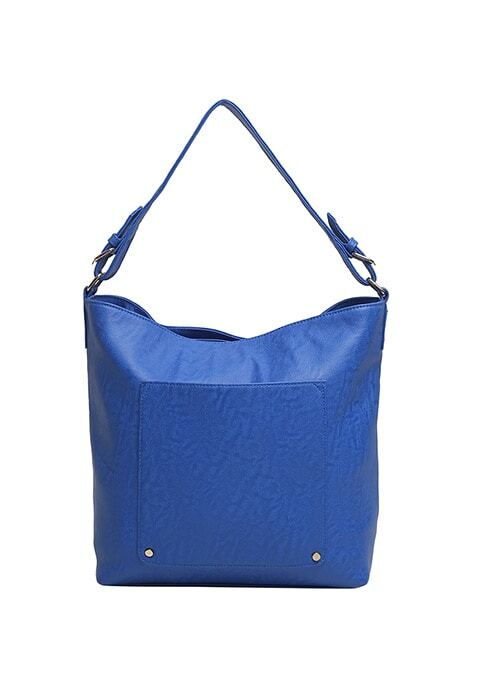 Color up your off duty days with this killer cobalt blue hobo bag featuring an interesting pocket detail in the front. The perfect 24-hour arm companion! Work It - Looks on point with a white tee and ripped boyfriend jeans.